In 1987, the greatest English storm for three centuries laid flat fifteen million trees across southern England and devastated a nation of tree-lovers. The storm marked a turning point in our perception of trees and a dawning realisation that they have lives of their own, beyond the roles and images we press on them. 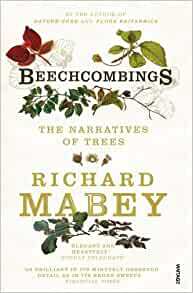 In Beechcombings Richard Mabey traces the long history of the beech tree throughout Europe, writing about the bluebells, orchids, fungi, deer and badgers associated with them, the narratives we tell about trees and the images we make of them. It is an engrossing, exciting, poetical and profound book that will stimulate debate about man's relationship with nature and enchant the reader. 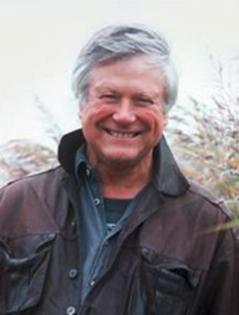 I had heard about Mabey for years as a prince among nature writers, and finally got around to reading some of his books. If like me you are obsessed by trees, especially beeches, then this will make your heart sing. Beechcombings is stuffed with fascinating facts about how beeches grow, live and die, their uses and diseases, the friendships they have nurtured and the landscapes they have enhanced. Half historian, half poet, Mabey has produced a book to carry with you on woodland walks, and to return to. A work of art, insightful and honest. A deeply grounding work. 4.0 out of 5 starsMabey back on form - great joy! After the somewhat vague meanderings of Nature Cure, Richard Mabey pulls of a brilliant book that is both a pleasure to read and a real education without ever feeling heavy. The use of language is once again a triumph in evoking the feel and splendour of our beech woodlands. My only real gripes are that whilst the book is a much better and structured read the ending does seem to come about rather suddenly and that my favourite rural author, H. J. Massingham, is dismissed as 'romantic'. Well there's nothing wrong with being romantic and you have to place your mindset at the time when Massingham was writing. But we digress. All in all a thoroughly good read.